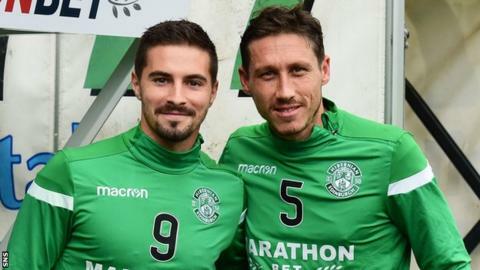 Hibernian will not ask for their match with Hearts to be postponed over the absence of Mark Milligan, Jamie Maclaren and Martin Boyle. The trio and Celtic’s Tom Rogic have been called up to the Australia squad for the Asian Cup, which takes place in early January. Hibs host Hearts in the Scottish Premiership on 29 December. “We are not going to do that,” said Easter Road head coach Neil Lennon about the possibility of postponing. “It’s a big game and it’s the time of year and you know it could provide a fixture backlog later on so we are not in the mindset of calling the game off. Lennon says the Football Federation of Australia had intimated to the club there would be some flexibility with the players. “We will keep an eye on the situation,” added Lennon, whose side host Livingston on Saturday. “It’s not ideal and it’s not what we were told was going to happen. We are a little bit disappointed. We are very disappointed with that. But we will just have to get on with it.